BlitzFoil Professional is a fully integrated highlighting system. 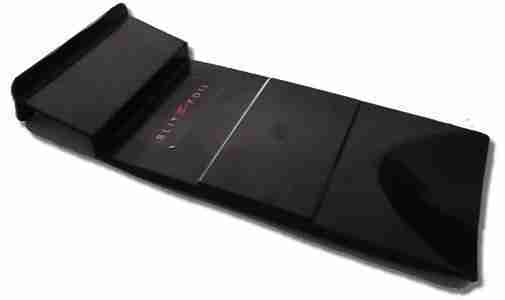 It consists of custom designed and patented foils, weaving comb and ergonomic body board. 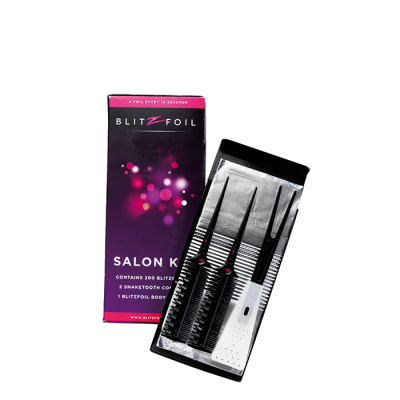 This allows for precise and fast application of foils. Effectively cutting the application time by up to 60% it is perhaps the easiest way to apply foils to your clients hair, while still delivering a professional and effective service. The body board is the only device that allows you to preload all the foils that you want to use within a highlighting session. Because of it’s ergonomic design it brings you closer to the root than ever before. As a result it makes a sturdy working surface for applying your color. Used correctly it even allows for a “both hands free” application. The back of the body board is specifically designed to accommodate easy delivery and reduces fumbling.